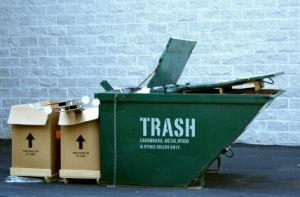 If you need junk removal you have come to the right place. Hauling Atlanta is Atlanta's local junk hauling professional. Prompt, courteous and efficient hauling professionals that arrive on schedule with a fully trained team. We haul junk from the heart of downtown Atlanta, Roswell, Dunwoody, Sandy Springs, Midtown, Buckhead, Norcross, College Park, Marietta, Vinings, Smyrna, West Village, East Point, Tucker, Stone Mountain and everywhere in-between! Hauling Atlanta service professionals pickup almost every kind of junk from old furniture to appliances, electronics ...to yard debris, renovation and construction material ...to office fixtures and much more. You don't need to lift a finger because we'll take your junk from wherever it is – the basement, attic, backyard, garage, office, warehouse, storage space, or construction site - and haul it away for you. Simply contact Hauling Atlanta, show us where your junk is and we will pick it up, take it out, load it up, and remove the junk out of your way. We look forward to the opportunity to help you with your hauling needs.